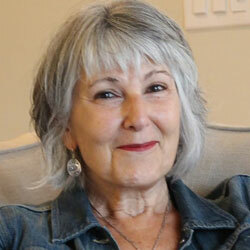 Eve Joseph’s two previous books of poetry, The Startled Heart (2004) and The Secret Signature of Things (2010) were both nominated for the Dorothy Livesay Award. Her nonfiction book, In the Slender Margin (2014) won the Hubert Evans award for nonfiction. Joseph grew up in North Vancouver, British Columbia, and now lives in Victoria. “In Quarrels, Eve Joseph’s delightful collection of prose poems, you enter the marvelous and that is the truth! The poet has surrendered herself to the realm of the illogical, trusting that it has a logic of its own, and the outcome is, indeed, a new music. These poems are intriguing spaces and moments defeating the boundaries of the real, but rest assured, Joseph leads you by the hand with warmth, wit and empathy. We met at a birthday party. We met at a birthday party. You were the only rum drinker in the room. On the couch, Al Purdy was going on about the stunted trees in the Arctic. Upon closer examination, we could see that the leaves were tiny parkas. The illogical must have a logic of its own you said. The first two drinks don’t count, it’s the third that blows the door open. With every gust of wind the little coats raised their arms and waved shyly at us. You were a new music, something I had not heard before. As they used to say about that Estonian composer: he only had to shake his sleeves and the notes would fall out. The following are links to other Web sites with information about poet Eve Joseph. 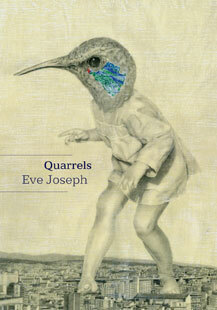 Have you read Quarrels by Eve Joseph? Add your comments to this page and let us know what you think.